Not valid for current subscribers or those that previously used a free trial pass. 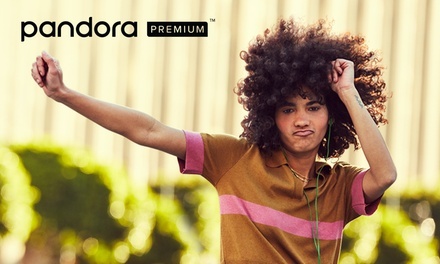 Claim codes cannot be resold, transferred for value, redeemed for cash, or applied to any other Pandora account, except where required by law. Limit one per customer and account. To redeem, must register credit card with merchant; the master account holder must be 21 years old for the Premium Family subscription. After the promotional period, plans will automatically renew at retail price, unless canceled with merchant. Not valid in Canada. Limit 1 per person. Not valid with other offers or promotions.